On Easter Monday 1916 Commandant Edward Daly commanding the 1st Battalion of the Irish Volunteers occupied the Four Courts and the surrounding area. 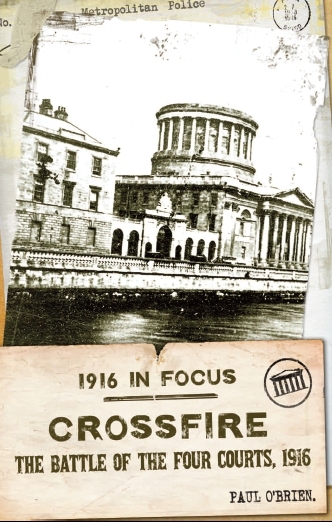 Crossfire, 1916 & the Battle for the Four Courts is the true story of one of the bloodiest engagements against crown forces in Dublin city during the 1916 Rising. Surrounded and out gunned the Volunteers held their positions and were the last Battalion of the Rising to surrender. This book examines the battles that were fought in and around the Four Courts area of Dublin city and the atrocities that were uncovered on North King Street as the Rising came to an end.